You may think that grabbing a blueberry muffin with your morning coffee rather than a croissant is a healthy choice, but this is not necessarily the case. Campaigners are now warning the public about the hidden sugar content in blueberry muffins, with leading brands containing up to 10 teaspoons of sugar, which is more than in a can of Coke. In the UK, the government recommends adults consume no more than 30g of free sugars, equivalent to about seven sugar cubes, a day. 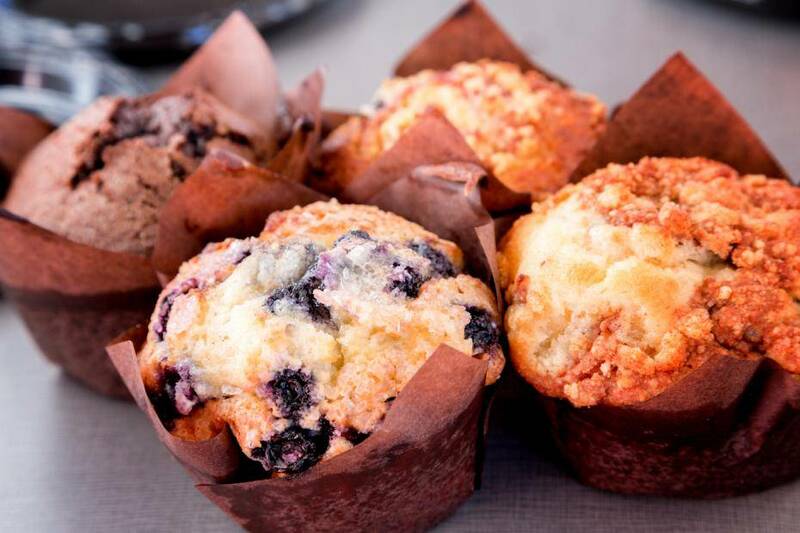 New analysis by Action on Sugar and the Obesity Health Alliance (OHA) reveals quite how high in sugar many blueberry muffins available on the high street are, however they also found a huge variation in content, portion size and lack of nutrition labelling. The two groups have come together to call on the Government to reduce the sugar content in blueberry muffins, in line with plans to cut sugar in common products by 20 per cent by 2020. The researchers assessed 28 different muffins available in supermarkets and train station food outlets, including AMT Coffee, Camden Food Co., Delice de France, Patisserie Valerie, Pumpkin, Ritazza and Upper Crust. A huge 61 per cent of muffins were found to contain over six teaspoons of sugar, which is the maximum a child aged seven to 10 should consume in one day, according to the NHS. It’s also worth noting that train station muffins on average were 32 per cent larger and contained 19 per cent more sugar per portion than those bought in supermarkets. On the lower end of the scale, however, was Marks and Spencer, whose blueberry muffins contain just three teaspoons each. The report warns that eating too much sugar is a key driver in the UK’s obesity epidemic, adding that children are consuming nearly three times more than the five per cent maximum recommended level in school-aged children. And with around 18 per cent of the food we consume being eaten away from home, it’s important people know what they’re picking up from supermarkets and station cafes to eat on the go. Caroline Cerny, Obesity Health Alliance Lead, said: “We may think grabbing a blueberry muffin is a reasonably healthy option for a snack on the go compared to other cakes or a chocolate bar – yet the figures suggest otherwise. “There is huge variation in both the size of muffins and the sugar content; and with limited nutrition labelling it’s all too easy to eat a huge amount of sugar in just one serving. The researchers point out that products such as blueberry muffins should be better labelled to reveal the nutritional information. They are calling for all manufacturers and retailers to use a traffic light labelling display on products at the point of sale. Registered Nutritionist Kawther Hashem from Action on Sugar, said: “During the Easter holidays, if families are travelling through these busy stations and were to buy blueberry muffins from one of the outlets available, those kids would likely be consuming almost their entire recommended limit of sugar that day, if not more. “And worryingly, it’s very difficult to know exactly what’s in these products as there is often no clear nutrition information at the point of sale.